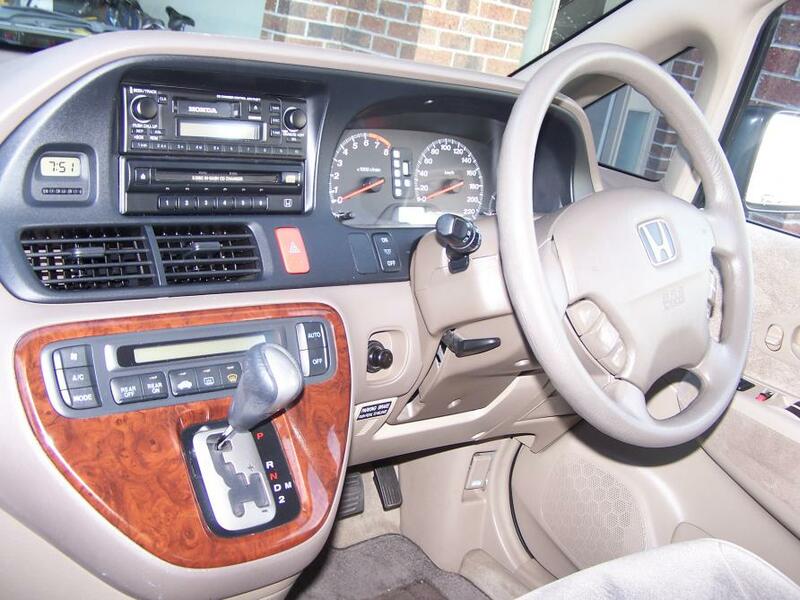 Hi, I have the International RHD Honda Odyssey (1999-2003) RA6 RA9 in Australia. I was looking for replacement units for the in dash entertainment system. I want to replace the cassette and radio unit with a touch screen unit which can take inputs from a reversing camera and should have an inbuilt GPS, DVD player. I looked about and found some Japanese Odysseys with touch screens but could not find where I can actually get the units or whether I can even mount the units in the existing electrical system. See the picture of the existing OE unit I have. Though I'm not very familiar with your particular model, most radios are a standard size, 7"x4" or could be listed as a double din. You should be able to find a radio and a wiring kit at a local stereo shop. They should be able to point in the right direction as well as give you a chance to try out the new unit before it's installed.